Clear colourless glass, cut and engraved on the wheel with Creation scenes from Genesis in scrolled frames. Triangular bowl, low stem flaring to a cut round base. 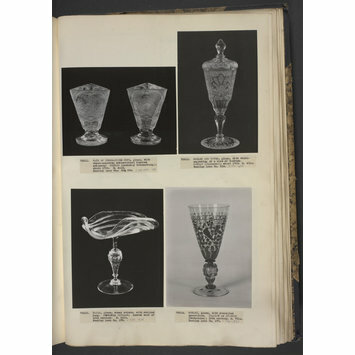 See Ceramics and Glass Collection Object Information File for correspondence 2013 with present owner of the glass formerly part of the Krug Collection. 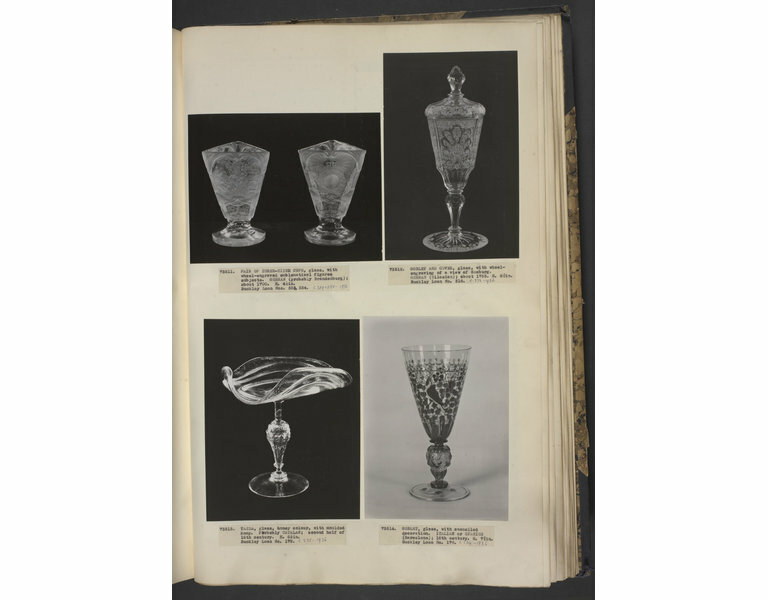 See R. Schmidt's review of W. B. Honey, Glass, in Burlington Magazine, June 1948, where he states that these are 'forgeries made by a very skilful glass- cutter who worked at Breslau about thirty years ago'. Eberhard Schenk zu Schweinsberg, 'Form und Schmuck des Hohlgläser...der Sammlung Schott', Jena, n.d., ca.1967, no.27 shows an exactly similar glass with scenes of the Sacrifice of Abraham, Temptation of Joseph and Jacob's Ladder. Schenk suggests that these are Jewish Kiddush cups and supports the Kassel attribution, ca.1700, possibly Gondelach. 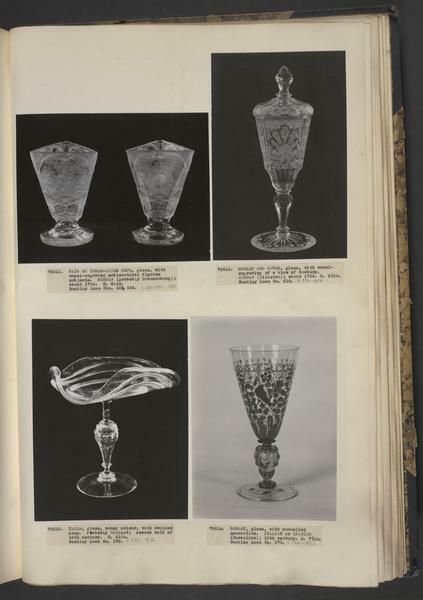 A similar beaker formerly in the Krug collection was attributed by Brigitte Klesse to Kassel, early 18th century, school of Franz Gondelach (Brigitte Klesse, 'Glassamlung Hilfried Krug', Munich, 1965, p.274, no.305).